The White House would like to thank you for making the first-ever White House Tribal Youth Gathering on July 9th a huge success! 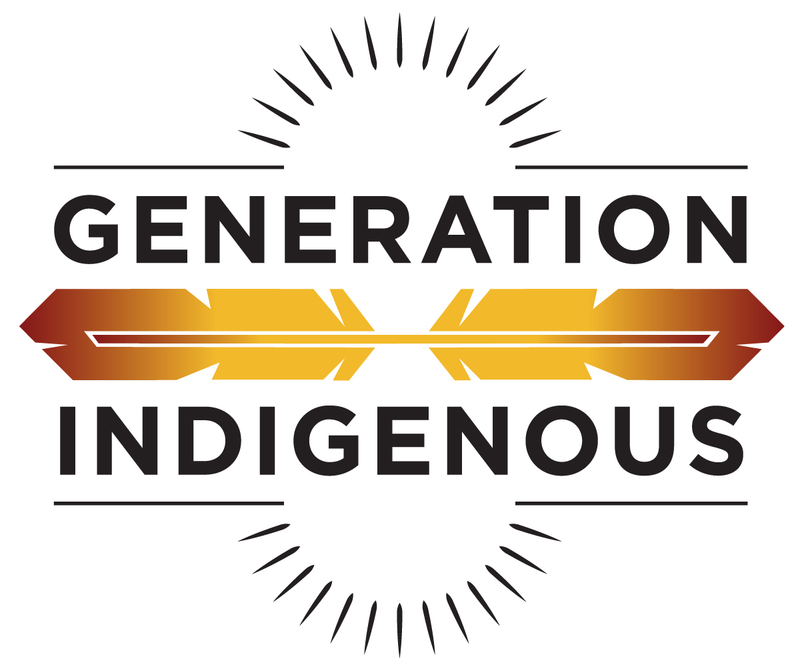 We’d like to personally express our gratitude to all who were able to attend in-person, who watched at one of the dozens of watch parties that took place nation-wide, and to all of those who have accepted the Generation Indigenous (Gen-I) Challenge! We’d like to invite you to participate in a conference call to recap the historic White House Tribal Youth Gathering, get your feedback, and discuss some of the federal resources the government will be offering to Native youth as well as resources offered by organizations that support Gen-I. We hope you’ll join us this coming Monday, August 10th, at 7:00pm Eastern Time (other time zones listed below). Please use the following dial-in information in order to access the call. Space is limited, so dial in 5-10 minutes early in order to secure a spot! Secretary Pritzker has made skills and workforce development a top priority for the Department of Commerce, and is working with the private sector and government leaders at all levels as part of the ‘Skills for Business’ initiative to prepare workers with the training needed to secure the 21st century jobs business leaders are seeking to fill. At today’s event, it was announced that AspenWSI has published a website with information about the initiative here. Their national selection committee will competitively select six teams from different regions. AspenWSI will document the strategies and lessons learned from these six original teams and provide new learning tools and case studies that can help communities and regions across the nation develop their talent pipelines to fill in-demand jobs. AspenWSI was selected from among a dozen other applicants to partner with Commerce because of its proven track record and innovative work with workforce and leadership development. National Webinar for Prospective Applicants: May 13, 2015, 2:00-3:30 p.m. EDT. To watch the recording click here. The U.S. Department of Education today announced the availability of an estimated $3 million in grants to help Native American youth become college- and career-ready. Funding for the new Native Youth Community Projects is a key step toward implementing President Obama’s commitment to improving the lives of American Indian and Alaskan Native children. The new grants will support the President’s Generation Indigenous “Gen I” Initiative launched last year to help Native American youth. Develop and implement locally produced strategies designed to address those barriers. Each grant will support a coordinated, focused approach chosen by a community partnership that includes a tribe, local schools and other optional service providers or organizations. For example, the program allows tribes to identify ways to achieve college and career readiness specific to their own communities – whether it’s early learning, language immersion or mental health services. Communities can tailor actions to address one or more of those issues. The success of these first projects will guide the work of future practices that improve the educational opportunities and achievement of preschool, elementary and secondary Indian students. The President’s FY 2016 budget proposal calls for increased investments across Indian Country, including a total request of $20.8 billion for a range of federal programs that serve tribes – a $1.5 billion increase over the 2015-enacted level. The budget proposal includes $53 million for fiscal year 2016 – a $50 million increase from this year – to significantly expand the Native Youth Community Projects program. For more on the Administration’s investment in Native American issues, visit https://www.whitehouse.gov/nativeamericans. UPDATE: The deadline has been extended for youth who sign up for the Gen-I Youth Challenge to be eligible to attend the 2015 White House Tribal Youth Gathering in Washington, DC this summer! Native Youth, you are invited to attend a kickoff event for Generation Indigenous! President Obama launched the Gen-I Initiative at the 2014 White House Tribal Nations Conference to focus on improving the lives of Native youth by removing the barriers that stand between Native youth and their opportunity to succeed. Through new investments and increased engagement, this initiative takes a comprehensive, culturally appropriate approach to ensure all young Native people can reach their full potential. Join representatives from The White House, U.S. Department of Health and Human Services, the Administration for Native Americans, and the Gathering of Nations Pow Wow for this exciting kickoff event! Native youth in Grades 9-12 are eligible to attend on Thursday, April 23rd, to learn about Gen-I and to take the Gen-I Challenge to make a positive impact in your community! The event will be held on Thursday, April 23rd, 11:30 AM – 4:00 PM at the Albuquerque Convention Center. Registration will open at 11:30 AM, the event will begin promptly at 1 PM MDT. Lunch will be provided. We hope you can join us in celebrating, you, Gen-I and working with us toward a better future for Native Youth! Please see the attached Save the Date flyer for more information. If you are interested in attending, please Register Here. Registration is on a first come, first serve basis and will be capped at 300 participants. The event will last approximately 4 hours.